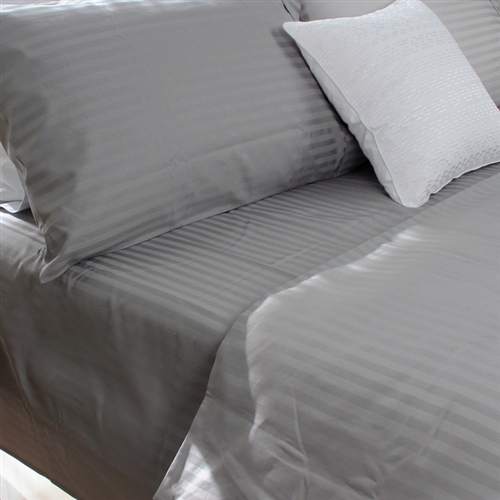 This 100% premium striped cotton sheet set is woven from long staple cotton fiber for an exquisite finish & superb quality. The fine, magnificent fabric feels smooth to the skin, offering marvellous sleeping comfort. This timeless, elegant sheet set will give your bedroom a luxurious update with a classic & glamorous look.